I will never stop loving a look with white pants and sneakers, it's just an easy go to for me! My new sneakers are the perfect comfy and elegant ones with quality leather. 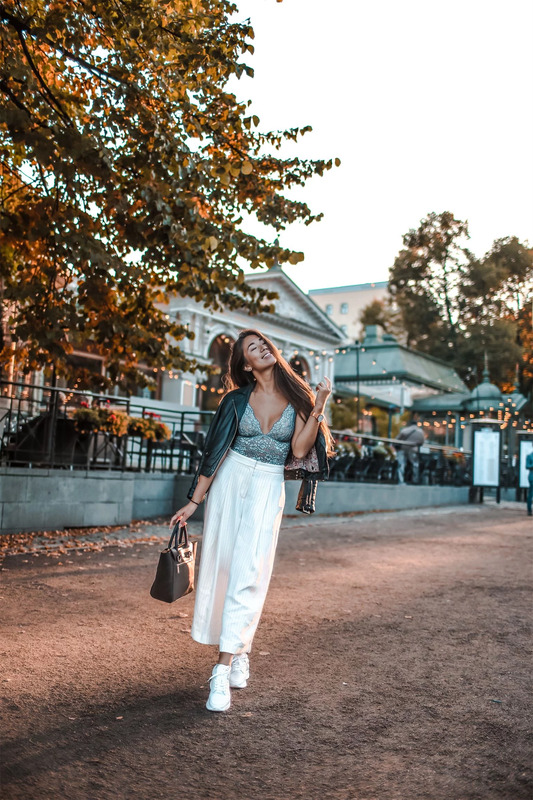 My first look during my days in Helsinki, photos taken by my blogger friend Sara, just Before we went for dinner at Roster with influencers from 15 countries and the Finnair team.